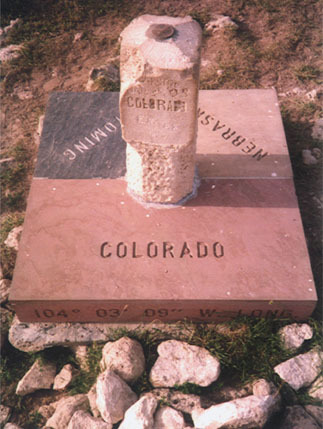 According to the Congressional definition of the boundary of Colorado, this point is theoretically where the 41st parallel north latitude intersects 27 degrees west longitude as measured from the Washington Meridian*. 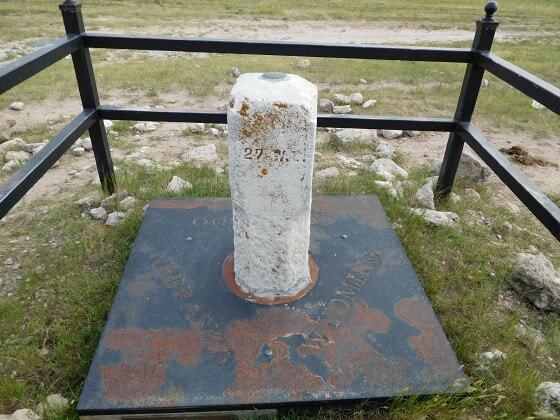 However, this monument was first set by Oliver Chaffee during his 1869 survey -- and due to the technological limitations of his day, it is not exactly right (although his survey does define the official boundary, regardless of its accuracy). 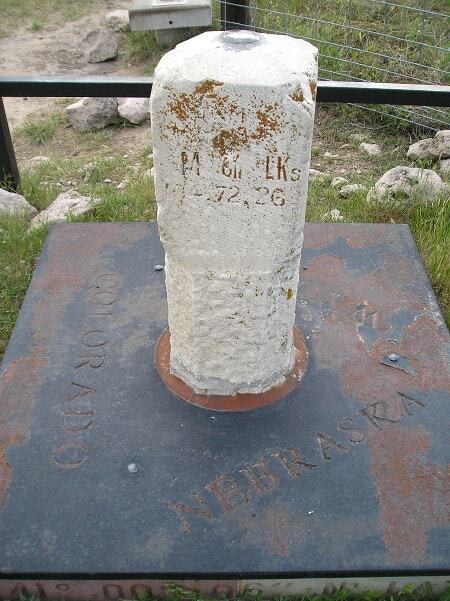 * Many American surveys between 1850-1884 were based on the Washington Meridian, which was officially abolished by Congress in favor of the Greenwich Prime Meridian in 1912. "27 degrees west of Washington" is a few miles away from the 104th degree of longitude west of Greenwich. 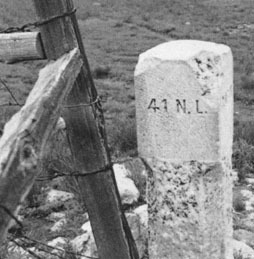 That was looking east; the cross ties on the fence enclosed the southeast corner of Wyoming. 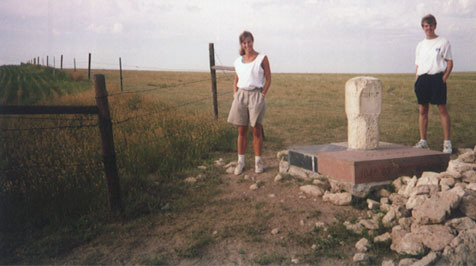 The camera was in Colorado, looking northeast. I was standing in the southwest corner of Nebraska's panhandle. My lovely wife was in the southeast corner of Wyoming. 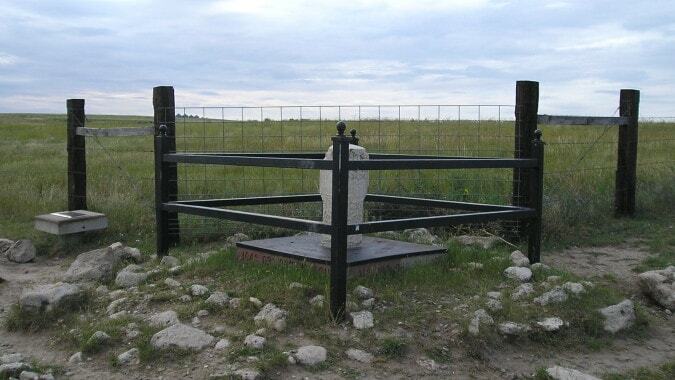 The fence runs along the east and south Wyoming state line. ​Reportedly in 1869 Chaffee surrounded the original marker with a huge mound of stones, so it is possible that the rocks strewn around the site today are remnants from that pile. last updated Jan. 15, 2017.